The configuration was originally announced with an April launch date, but is now finally available for about 2569 Euros. 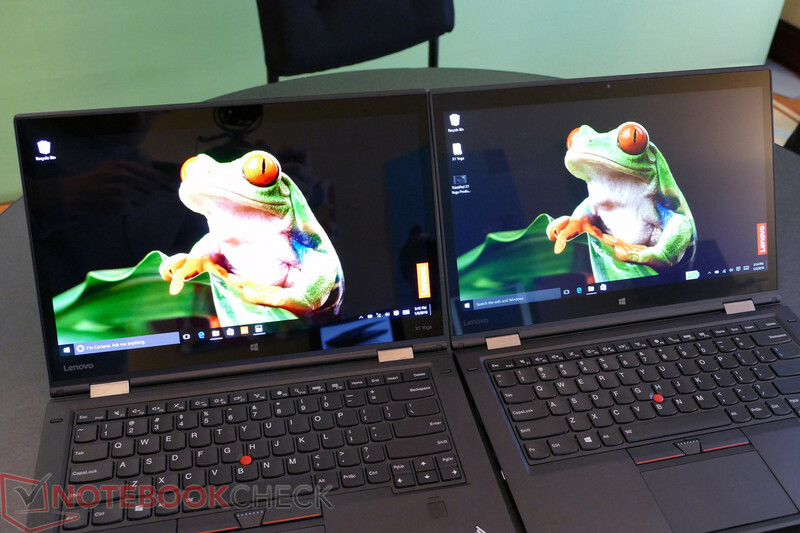 The 14-inch ThinkPad X1 Yoga was announced at CES 2016 with a WQHD OLED panel manufactured by Samsung. This not only makes it the first ThinkPad with an OLED option, but also the first 14-inch OLED consumer notebook altogether. Lenovo launched the ThinkPad X1 Yoga without the option earlier this year and has only recently made the OLED option available. The option will cost a pretty penny with a starting price of about 2569 Euros. This will net users the OLED panel, Core i7-6500U CPU, 8 GB RAM, and 256 GB SSD. The more expensive configuration includes the Core i7-6600U, 16 GB RAM, and 1 TB PCIe SSD for 3300 Euros. Students with eligible discounts, however, can get this exact configuration for only around 2500 Euros. WiGig is not an option with the OLED panel. In our review of the X1 Yoga, we criticized its battery life, backlight bleeding, and high starting price even without the OLED panel. Lenovo is advertising its OLED panel with 97 percent AdobeRGB coverage. We already have the SKU under review, so check back soon for our full take on the panel. Aside from Lenovo, Dell has also recently made available the Alienware 13 with an OLED option.